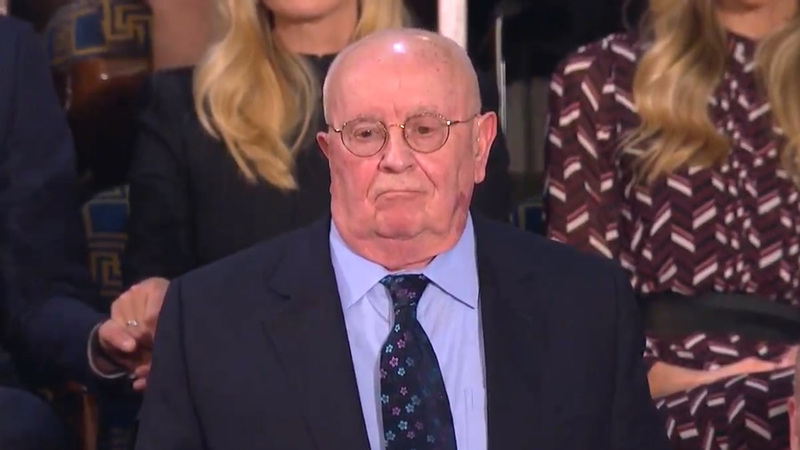 One of President Donald Trump’s special guests at his State of the Union speech tonight was Holocaust survivor Judah Samet. It was a somber moment as Trump recounted Samet’s narrow escape from the October shooting at a Pittsburgh synogogue. Then, somber turned to joy when Trump revealed that it was Samet’s 81st birthday. In arguably the most touching moment of the evening, Samet received a standing ovation, followed by a hearty chorus of “Happy Birthday.” (And you thought Congress couldn’t be in unison on anything.) Of course, Samet made sure to say “thank you” before he sat back down. And President Trump couldn’t resist a humorous response.